The Obama administration announced yesterday that it is reopening the entire Eastern outer continental shelf – from Florida to Delaware – to offshore oil and gas exploration. Such exploration will use sonic cannons to locate fossil fuel deposits deep beneath the ocean floor. According to an article in The Guardian, The US Bureau of Ocean Energy Management openly acknowledged that whales, dolphins, and thousands of other sea creatures will be harmed by such prospecting. Dolphins and whales depend on much less powerful forms of echolocation to feed and to communicate across hundreds of miles of open ocean. The area to be mapped is outside the jurisdiction of individual states, in federal waters. President Obama is consequently solely responsible for the decision to permit harmful exploration. 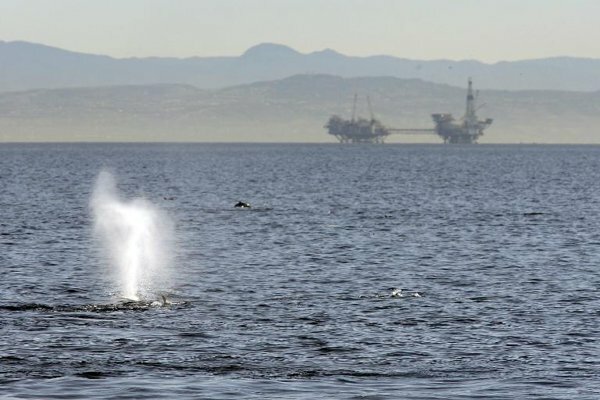 Communities up and down the Atlantic seaboard have begun to pass resolutions opposing seismic testing and offshore drilling. It’s time to mobilize the anti-fracking lobby in NY to oppose this new threat to life from the oil industry.